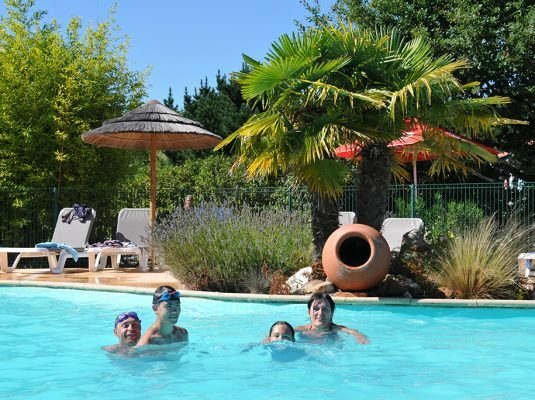 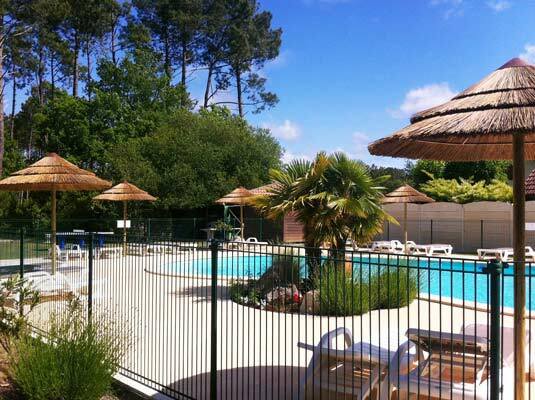 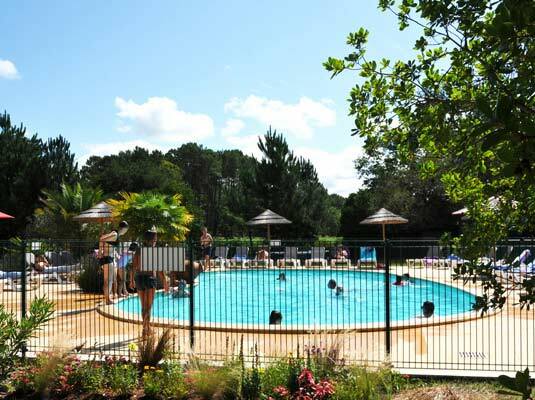 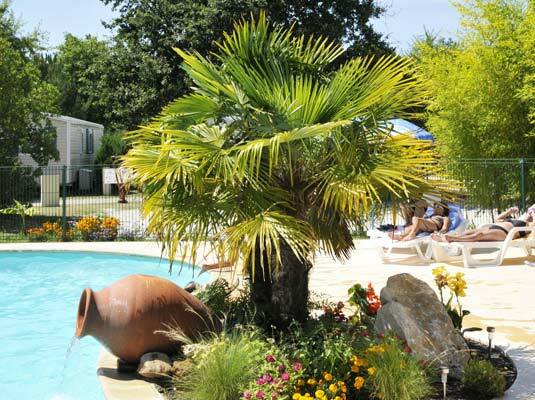 Heated swimming pool in the En Chon les Pins Campsite, in Biscarrosse in the Landes. 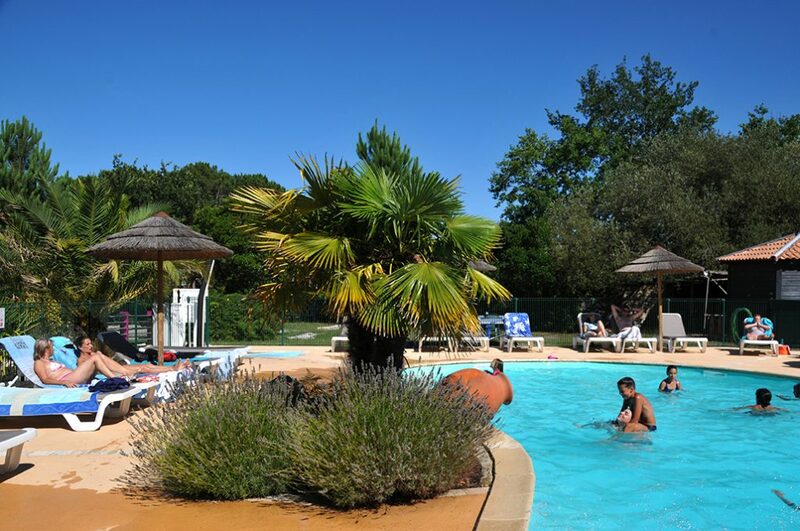 The pleasant and scenic swimming pool, with its straw huts, is heated from June to mid-September, and open from 10.30am – 8.00pm. 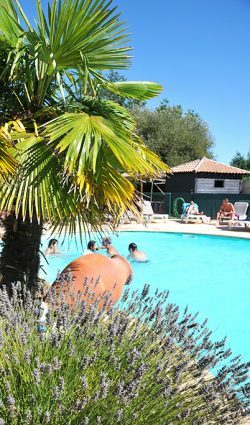 It is compulsory to use the foot bath and shower beforehand. 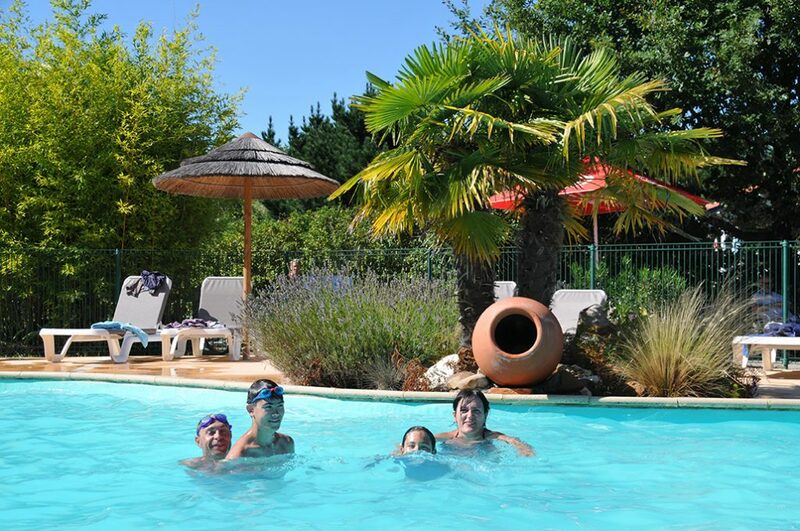 You will share the water with young children, non-swimmers wanting to cool off, as well as teenagers wanting to relax. 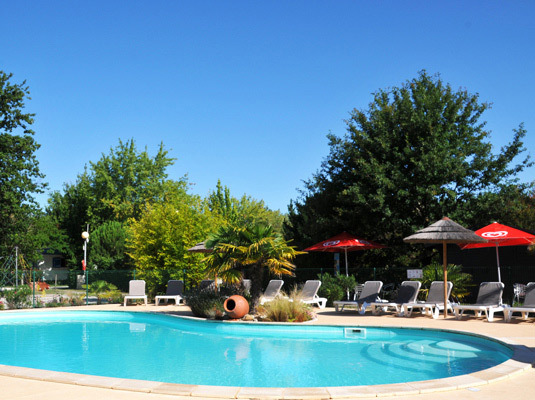 Enter the pool at your own risk. 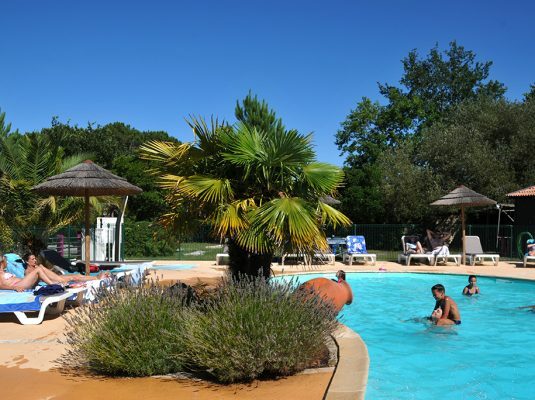 It is compulsory to obey the safety and hygiene rules (see rules and regulations in the annexe; it is important to respect the pool safety and hygiene rules, otherwise the pool will be closed).